Late last year, Danny Worsnop, lead vocalist of the U.K. five-piece Asking Alexandria, underwent major vocal surgery, which left him unsure if he’d ever be able to sing again. Luckily, Worsnop recovered, however the operation did cause minor changes to his voice, which left some fans very openly displeased. “Describing his vocal injury as a “scary time” during which he didn’t know if he’d ever be able to sing again, Worsnop tells Fuse he “worked really hard” at recovering and has since “matured” his voice to a place where he’s happy with it. And if you aren’t a fan of how he sounds now, well, he doesn’t care. 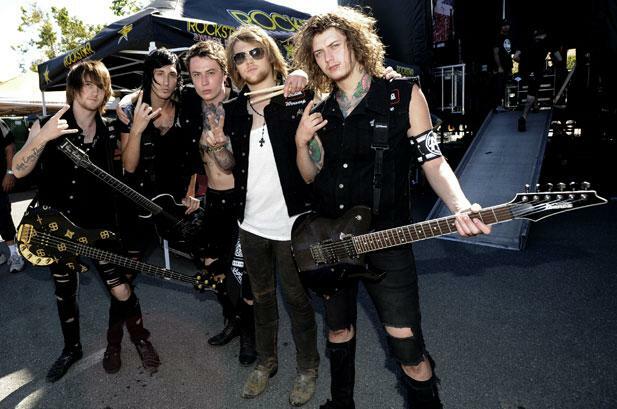 Still, it would seem that criticism such as this hasn’t hindered Asking Alexandria in the slightest. Earlier this year the group released their third studio album, From Death To Destiny, and in the coming months the outfit will hit the road in support of the release, aided by Emmure, Sevendust, For Today, and All That Remains. To see if the group will be melting faces near your hometown, you can catch a full list of dates here.